Epithermal neutron resonance self-shielding factors in foils of materials used as activation detectors or as targets for radionuclide production have been calculated using the MCNP code. 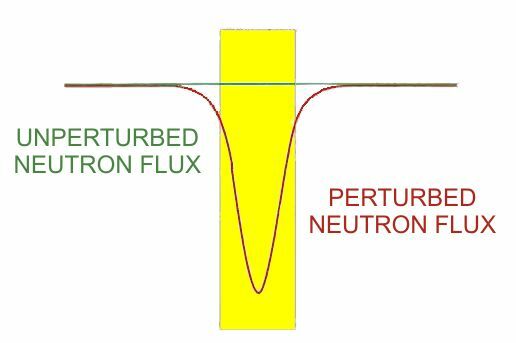 Two irradiation conditions have been considered: (a) foils immersed into an isotropic neutron flux and (b) foils submitted to a collimated neutron beam. The self-shielding factors, Gres, for gold, indium, manganese and cobalt have been compared with available published values. The self-shielding factor depends on various physical and nuclear parameters. However, it is shown that for the isotropic case and for high absorber elements submitted to a collimated beam, a dimensionless variable could be adopted that describes the self-shielding factors of different materials by quasi ‘‘universal curves’’. Gres for the collimated beam are always higher than those for the isotropic case. Epithermal neutron resonance self-shielding factors in wires of materials used as activation detectors or as targets for radionuclide production have been calculated using the MCNP code. The energy dependent self-shielding factor depends on the ratio scattering/capture cross sections. The self-shielding factors for cobalt and gold have been compared with available values. The self-shielding factor depends on various physical and nuclear parameters. However, an adimensional variable can be adopted that describes the self-shielding factors of different materials by a quasi ‘‘universal curve’’. In this work, the resonance self-shielding factor is calculated by means of the Monte Carlo technique for different materials (Au, Co, Mn), geometries (circular foils and wires) and incidence of neutrons (isotropic field and collimated beam). The results are compared with the values obtained by other authors. The main objective of this website is to make available scientific articles written by Eduardo J. C. Martinho, José F. Salgado and Isabel Maria F. Gonçalves, from the Instituto Tecnológico e Nuclear, Sacavém, Portugal. The research, published between 2001 and 2004, was about a relevant phenomenon in nuclear reactors and neutron physics called neutron self-shielding, which comprises resonance neutron self-shielding (Gres) and thermal neutron self-shielding (Gth). The practical importance of our work resides in the final conclusion that the phenomenon can be quantified by a universal law of Gres and Gth for foils, wires, spheres and cylinders. * C. Chilian, R. Chambon, G. Kennedy: Neutron self-shielding with k0–NAA irradiations. Nuclear Instruments and Methods in Physics Research A 622 (2) (2010) 429-432]. 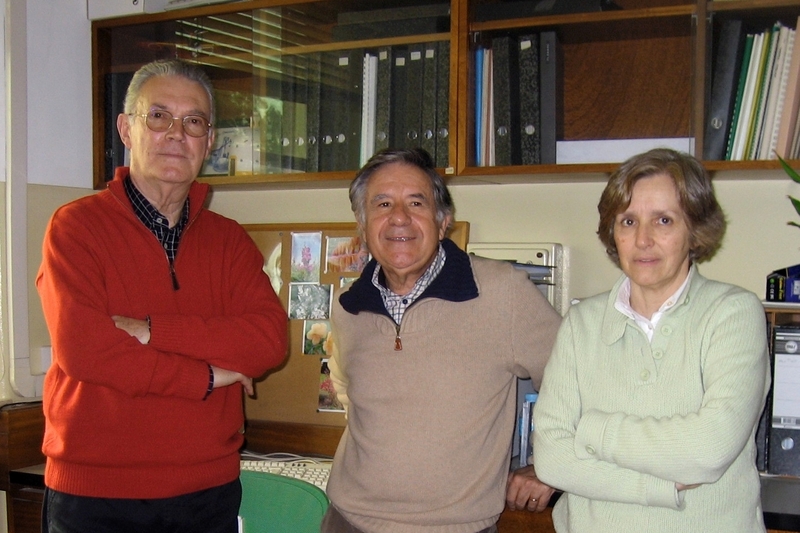 E. Martinho, J. Salgado, I.F. Gonçalves, Universal curve of thermal neutron self-shielding factors in foils, wires, spheres and cylinders. Journal of Radioanalytical and Nuclear Chemistry 261 (3) (2004) 637-643. Scientists from several countries [Algeria, Argentina, Australia, Austria, Bangladesh, Belgium, Brazil, Bulgaria, Canada, Chile, China, Cuba, Denmark, Egypt, France, Germany, Greece, Hungary, India, Indonesia, Iran, Italy, Japan, Kazakhstan, Malaysia, Mexico, Pakistan, Peru, Portugal, Romania, Slovenia, South Korea, Switzerland, Taiwan, The Netherlands, Turkey, United Kingdom, United States of America, Uzbekistan and Vietnam] and international institutions [Joint Research Centre/EU (Geel, Petten, Ispra) and International Atomic Energy Agency (Vienna)] are using our results in works related to various­ domains, namely reactor neutron metrology, determination of nuclear parameters (thermal neutron cross-sections and resonance integrals), neutron activation analysis, production of radioisotopes for medical applications.